Mid top trainers for busy feet. A basketball style for the littlest athletes. 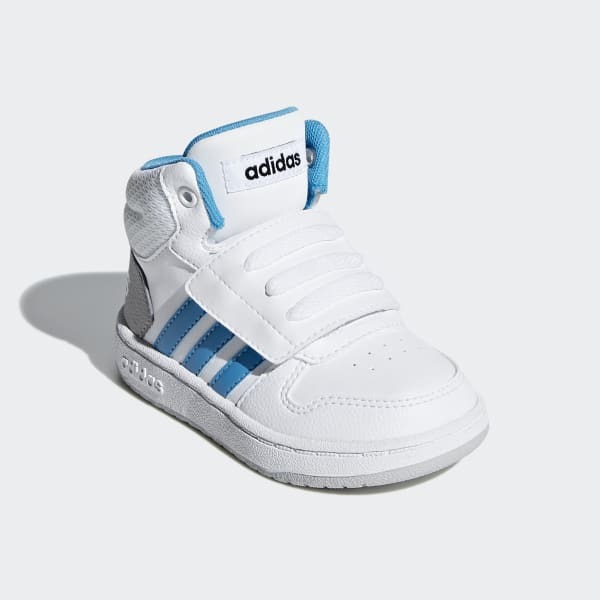 These infants' shoes have a court-inspired look finished with contrast colours. 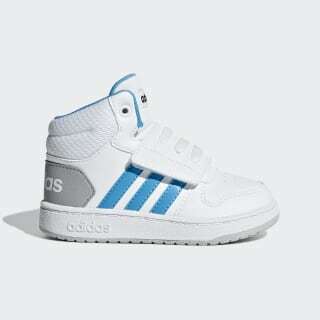 The mid top shoes are made with a leather-like upper and flash 3-Stripes on the sides.